Hello again, TheBrewerZ! That is an option, or we could even go with Burning Inquiry if we really want to risk it! 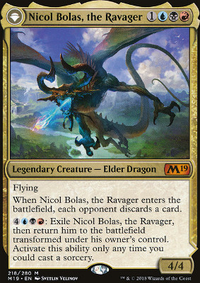 It's not terrible in the deck, but the issue I have with Mishra's Bauble is that it's usually a do-nothing card. 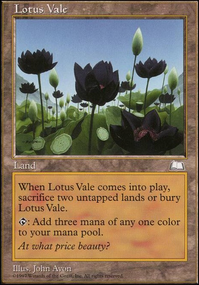 In an opening hand, it's not terrible if you aren't using any looting spells turn 1. 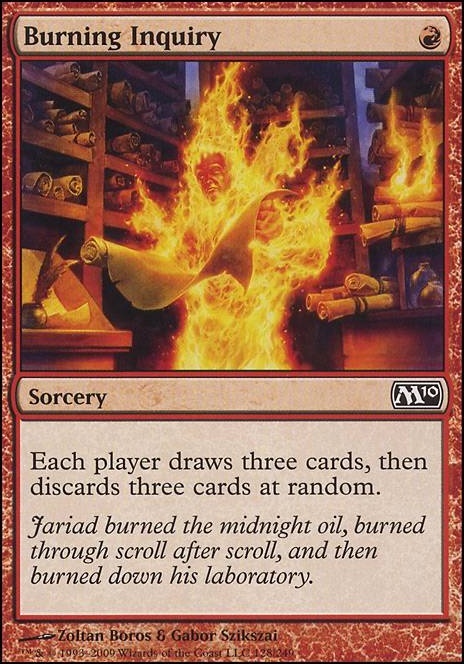 If you are using Faithless Looting or Burning Inquiry however, the card is just discard fodder. 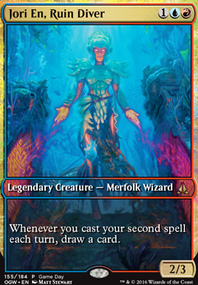 As the game gets longer, you want to see the card less and less, as the one-turn delay on the cantrip really hurts for a fast, sorcery-speed deck, and it basically becomes a worse Street Wraith. I have noticed this in Abzan Traverse too, where, a lot of the times, Bauble just doesn't feel great outside of filling the graveyard early on. 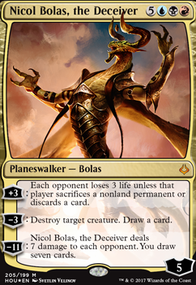 That's why some of the Abzan Traverse lists run Walking Ballista as an artifact card too. 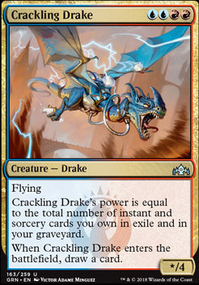 The reason it's used in Abzan Traverse is because they have a hard time filling their graveyard early on for Grim Flayer . This deck circumvents that by running Street Wraith and Looting spells to fill up the graveyard early on; you don't generally need Mishra's Bauble to fill up the grave early, and you don't need it late. 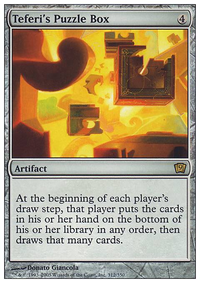 I think it's usable (it's a 0 mana artifact cyler), but generally unnecessary.